When it comes to replacing the stock hard drive of PS4 with a new one, there’re not many hard drive options available in the market, due to the standards a replacement hard drive must meet in order to fit into PS4 drive bay. 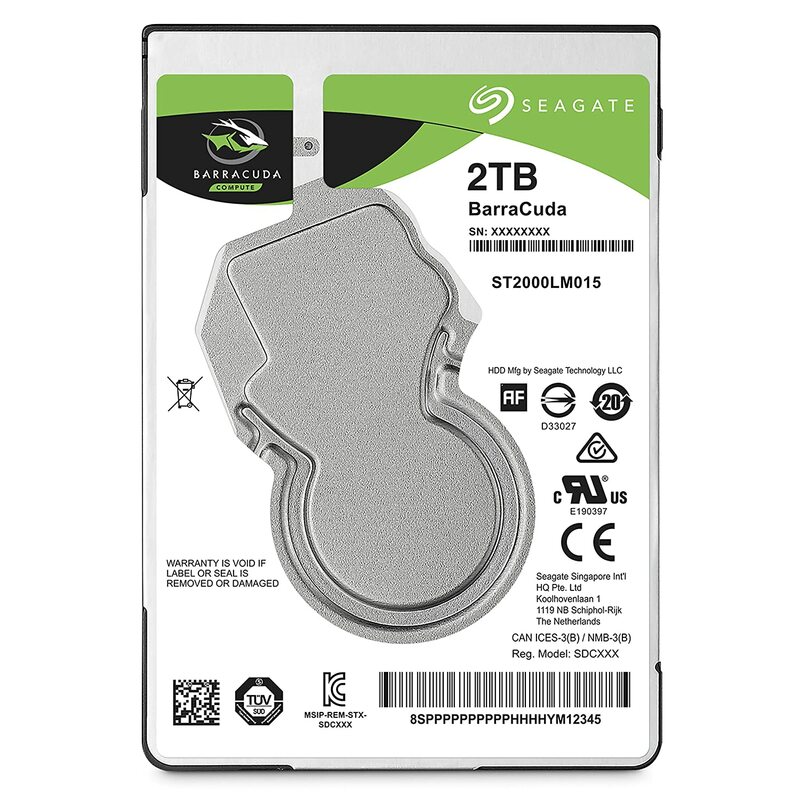 The highly-improved and newly-released (Oct 2016) Seagate 2TB Barracuda [ST2000LM015] is the best hard drive replacement for PS4 in terms of capacity (2TB), price (around $100) and performance (vast 128MB cache buffer) altogether. Yes, in terms of performance alone, SSDs are much better, but you’ll have to pay a premium to get one that can handle your storage requirements (More than $150 for 500GB and more than $200 for 1TB). Besides you’ll not get the hoped performance out of SSD when added into PS4 due to the limitation of the second generation of Serial-ATA which PS4 is interfaced with. In some aspects, SSHD are somewhat faster than our top-notch choice, but a 2.5-inch SSHD that fits into the drive bay of PS4 comes only with 1TB of storage capacity. We recommend Seagate 1TB Firecuda Gaming [ST1000LX015] if you wish to go with an SSHD instead. Why [ST2000LM015] is Our Top-Notch HDD for PS4? Just until recently, Samsung SpinPoint M9T hard drive [ST2000LM003] was the best hard drive option for PS4 in terms of capacity (2TB) and price. But now we have picked the newest and highly improved Seagate 2TB Barracuda [ST2000LM015] to be the best PS4 replacement hard drive since October 2016. Unlike its predecessor, it doesn’t provide data encryption (which is not needed in PS4 systems anyway), and that’s supposed to have a good impact on the overall performance of the drive. The drive must meet the required specifications of a PS4 HDD, which are: 2.5-inch form factor, Maximum 9.5mm thickness, and Serial-ATA interface. The drive’s brand must belong to a prominent and highly-reputed HDD manufacturer, such as Seagate and Western Digital (WD). Bearing all that in mind along with other small factors, we have deduced that the improved Seagate Barracuda [ST2000LM015] is the best mechanical hard drive of which you can think for PS4.